Pesach (English: Passover) this year begins in a week (evening of April 10). This extremely popular Jewish occasion is marked by a family gathering, called a “Seder” (English: set order), a festive meal combined with the retelling and reflections of our people’s rescue from slavery in Egypt about 3500 years ago. Besides our own family gathering, it is common for me to preside over special Seders for Christians. There are few teaching tools as effective as this to help believers connect with the biblical roots of their faith. Many people don’t know that the Last Supper was a Passover Seder and that one of the world’s most observed rituals often called “communion” is derived from that Seder. In the Torah the details of Seder observance were quite simple: the eating of a specially sacrificed lamb along with matza (English: unleavened bread) and bitter herbs. Through the centuries other symbolic items were incorporated such as the eating of greens dipped in salt water, four cups of wine, a sweet jam-like concoction called “haroset,” and a roasted egg also dipped in salt water. The retelling of the story of our deliverance from Egypt appears to stem from the Torah’s mention of how to answer our children when they ask, “What do you mean by this service?” (Shemot/Exodus 12:26). The reply, “It is the sacrifice of the Lord’s Passover, for he passed over the houses of the people of Israel in Egypt, when he struck the Egyptians but spared our houses” (Shemot/Exodus 12:27), led to a far more detailed explanation during this God-ordained meal. Eventually, as the nation of Israel found itself in exile in Babylon, reflecting over the rescue from Egypt led to the incorporation of elements of hope for a new exodus in anticipation of the Messiah’s coming. The Seder as observed the world over next week continues the tradition of reflecting over the earlier rescue through Moses and anticipating the future Messiah. Behold, I will send you Elijah the prophet before the great and awesome day of the Lord comes. And he will turn the hearts of fathers to their children and the hearts of children to their fathers, lest I come and strike the land with a decree of utter destruction (Malachi 3:23-24; English: 4:5-6). In anticipation of Elijah’s coming a special cup of wine on the table is prepared for him. Toward the end of the evening the door is opened. Could this finally be the night he arrives to usher in the Messiah? We too have a cup for Elijah at our Seder, but it is empty. Why? He came already in the person of Yohanan HaMatbil (English: John the Baptist), who, as Yeshua said, fulfilled Malachi’s prediction about Elijah (see Matthew 11:14). The fulfillment of Malachi’s prophesy was a historical game changer. The coming of the Messiah set the Jewish people on a brand-new course to bring the power of God’s rescue to the whole world in the name of the Messiah. 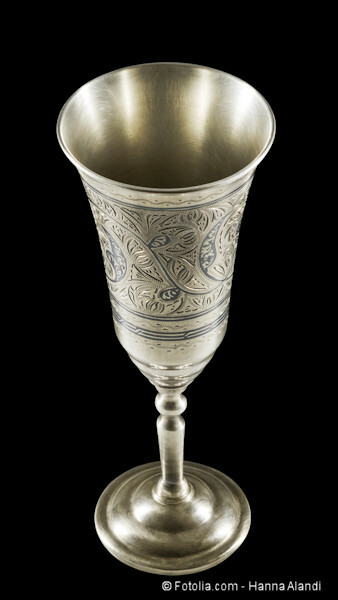 Therefore, we celebrate the Seder filled with God’s Spirit, but with Elijah’s cup empty.